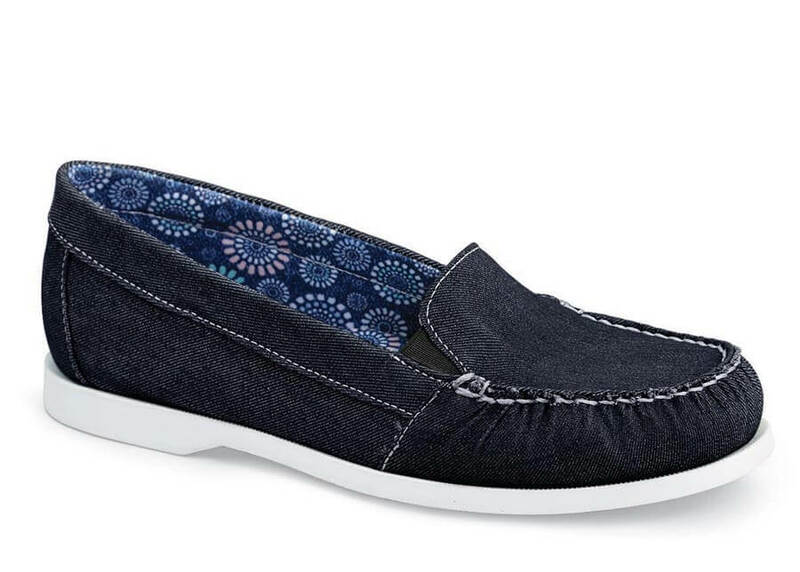 The new navy version of “Tracey,” the easy-going boat shoe-style loafer from Hitchcock Wide Shoe Closet, has lightweight denim uppers with hand-sewn vamps and pretty floral fabric linings. 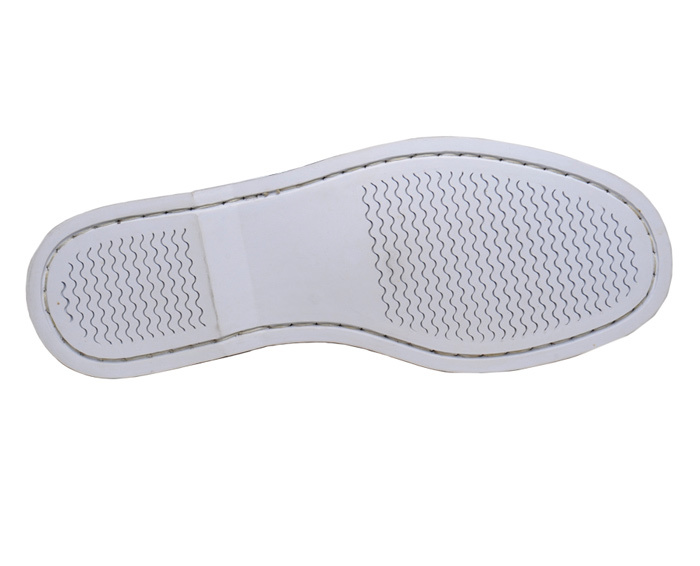 The foam cushion insole and white siped boat sole offer comfort and flexibility. Georgia last. Women’s sizes 5–10, 11 and 12 in 2E and 4E.